MLM prospecting online or offline is one of the most basic and important parts to building your multi level marketing business. 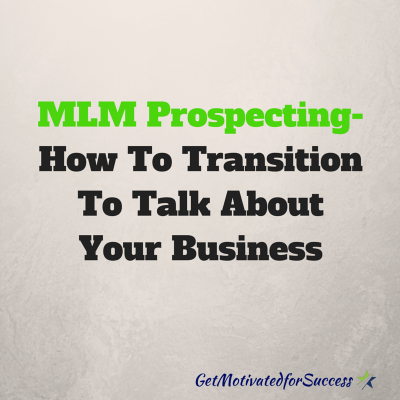 There are a ton of different mlm prospecting tips that you can find on the internet that will teach you how to open up the conversation to talk to strangers or even connect with other people online. This is a great question because we have all been there before, right? I have been there many, many times! That is, until I learned some very simple and easy to use transition lines to get the topic onto my business opportunity. They are very subtle statements that will unconsciously ques your prospects into asking about your mlm opportunities. That is key! You see, when a prospect asks you about your business, they are essentially giving you permission to talk and ask them if they are open to making money from a business of their own. It doesn't seem weird at all to the prospect, because they asked!! In the video below, I did a Periscope where I shared effective transition statements that you can use so that you never feel awkward about bringing up your MLM business again! These transition statements are interchangeable. You can use any of them anytime, depending on the direction of the conversation. Practice them in your mind, so the next time you are in a conversation with a prospect, you can pull out one of the statements and use it to your advantage! P.S. Mini Coaching Sessions– Do you feel like you need a little bit more 1 on 1 help with generating leads or sponsoring more reps into your MLM business? Could you use some hand holding or just someone to look over your shoulder to guide you? If you answered yes to any of these questions, send an email to motivated@kkglobalmarketing.com and we can discuss more details! Personality types are something that every single one of us has in our DNA. Each individual person has a combination of four personality types from the laid back to the aggressive approach to people and life. Knowing how to interact with each of the four personality type is critical to your MLM recruiting or Network Marketing recruiting! Building an MLM or multi level marketing business is all about relationships. The more that you know about the four personality types, the better you will become at building business teams. You will know what motivates some while it will repel others, and you will also know how to close each of the personality types into your business opportunity! Wouldn't it be cool to be able to sit down with a prospect and recognize what personality type they are? You would know the exact words to say to get them interested in your opportunity, and sign up many more distributors than you currently do! In the video below, I am going to reveal to you MLM recruiting secrets on how to interact with each personality type, and give you the necessary communication skills to close ANY of the four personalities into your business. Learning how to recruit different personalities into your MLM is crucial to the overall growth and longevity of your business. Study the qualities and traits of these unique personality types and learn how to connect with each one more effectively! Comment below and let us know what your personality combination is! Did you get value from this post? Feel free to share and comment below! 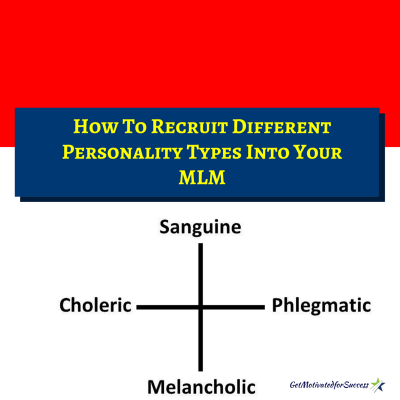 If you enjoyed this post on How To Recruit Different Personality Types Into Your MLM, retweet and comment please! A few weeks ago I attended a Ray Higdon Top Earner Marketing Boot Camp in Ft. Myers, FL. The Boot Camp was all about MLM marketing and how to get prospects to reach out to you from your marketing efforts. This was a power packed 3 day weekend event where there were a ton of Network Marketing tips being dropped from top 6 and 7 figure earners in the Network Marketing industry! The Network Marketing tips that I learned from Ray Higdon on just the first day alone was well worth the cost of the weekend! He taught us all types of Multi Level Marketing techniques and thought processes that we could implement into our MLM businesses immediately. I shared some of the big marketing tips from Ray Higdon on the first day of the MLM Marketing Boot Camp from my hotel room. These are powerful nuggets that can help you to grow your Network Marketing business, or even get unstuck if you are having challenges growing. Grab a pen and paper to jot down some of Ray Higdon's awesome marketing tips from the video below!! Did you get value from these tips taught by Ray Higdon? Feel free to share and comment below on what your favorite MLM marketing nugget was! Want more tips like these? Be sure to subscribe to my daily Network Marketing Newsletter! 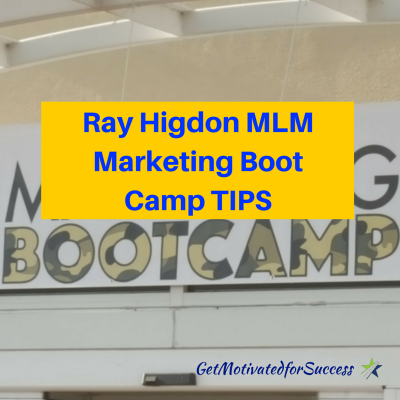 If you enjoyed this post on Ray Higdon MLM Marketing Boot Camp Tips, retweet and comment please! MLM or Multi Level Marketing business reps many times find themselves on the front line of questions. They are getting pelted left and right with all sorts of objections, clarifications, and more. 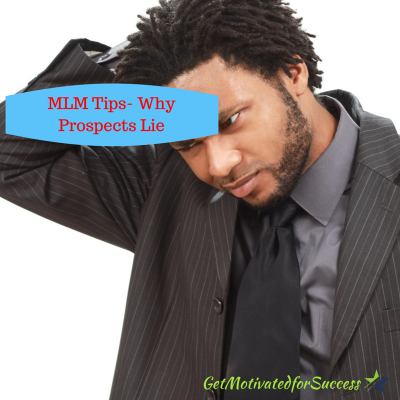 If you have ever been hit with a ton of questions from a prospect about your MLM opportunity, it can feel like you are on your heels trying to justify everything about your company and comp plan. It can get very tiresome. 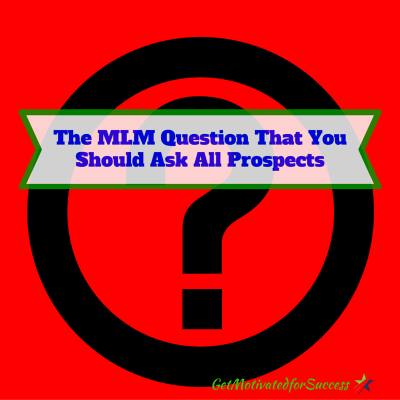 Within this post, I am going to share with you some MLM tips that will help you to eliminate the barrage of questions that you get from prospects. In fact, there is a question that you can ask your prospect to turn the tide and put them on their heels, so that they have to do the song and dance! It is a question that is rarely taught, but a very powerful one. If you use these MLM tips and tricks, you can begin to have the correct posture when you are sharing your business opportunity and registering reps into your MLM business. In the video below, I share with you an MLM tip that will give you more confidence on how to deal with prospect questions. Take note of the very specific question that you should ask all of your prospects even if they are not hitting you with a ton of questions. What a simple question to ask right? The reason that it is so effective is because prospects are used to being asked similar questions and having to answer them when they go on job interviews. Your Multi Level Marketing opportunity is no different. You must treat it as though you are hiring your next board of directors and you want to work with people who are motivated and have a why rather than trying to convince them that they need your business opportunity. When you establish yourself as the authority who can help them, building your business will become fun and less taxing because you are going to be working with the RIGHT people! If you found value in these Multi Level marketing tips, feel free to comment below and share it with other people you feel can benefit! P.S.- Want MORE MLM tips and Tricks like this? Be sure to sign up for my daily Network Marketing Newsletter HERE! “What do you do for a living?” is a very common question that you will get if you are prospecting both online and offline for your Network Marketing business. It is important to know exactly what to say when you are posed with this question. Many Network Marketers freeze and bumble when a prospect asks them, “What do you do?” They are like a deer in headlights! If you don't answer this question quickly and confidently, your prospect will not take you seriously and most likely will not be interested in anything that you have offer. If you offer a what do you do answer that raises curiosity, then you have the prospect interested and literally leaning forward to find out exactly what it is that you do! For example, an accountant can simply say that “I am an accountant.” Or they could spruce it up a bit and create curiosity in the prospect by saying something like, “I help families save thousands of dollars every year on taxes.” Two totally different versions of the same profession. The only difference is that one of the answers will most likely have the prospect ask if they can help them to save thousands of dollars every year. It is no different with your MLM. Come up with a unique 10 second “pitch” that is interesting and raises curiosity in the prospect. In the video below, I offer some examples of this as well as explain the psychology behind why answering the “what do you do?” question for your multi level marketing business. The important part that I want you to understand when you answer the what do you do question, is that you always add a benefit…You are not just in a Network Marketing business! Did you find value? If so, feel free to comment below and share it with other people you feel can benefit! If you enjoyed this post on What Do You Do For A Living? 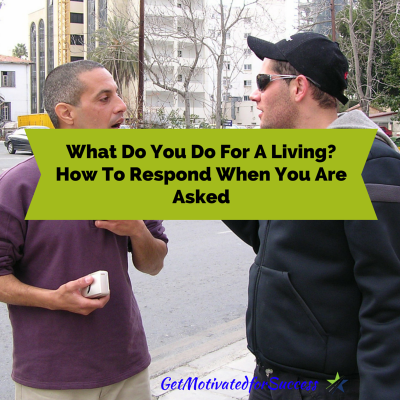 How To Respond When You Are Asked, retweet and comment please! 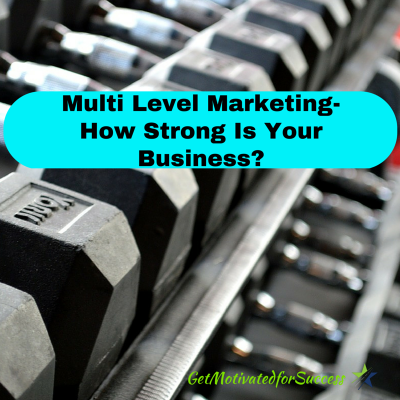 Multi Level Marketing- How Strong Is Your Business? Multi Level Marketing is like any other business in that you have to continuously evaluate and look at the strength of your business. We all need to step back and take a look to see where our business is at, what we are doing well, and where we need improvement. It is foolish to continue to try and grow your Network Marketing business and not look at the activity that you have compared to the results that you are getting! If you are taking a lot of action but not getting any results, or very little, you must look at what is not working and make adjustments. Sometimes when you look at what is not working, you can also look for other ways to accomplish the same thing. For example, you can prospect people offline all day everyday, or you can add Social Media and/or use an Attraction Marketing system to help increase the amount of prospects that you can share your MLM business opportunity with! Both ways work effectively, but you should evaluate which one is working better for you and getting you the best results, and then scale up or do more of that which is working best for you. This can be done in almost every area of your Multi Level Marketing business. In the video below, I explain the importance of having these 5 elements in your Multi Level Marketing business and how you can measure the strength of your business. Be sure to grab a pen and paper because I will do a short exercise with you to help you determine just how strong or weak your MLM business is! If you do not have these things in place, chances are that you will struggle in building your MLM business and it will not be as strong of a business as it could be. Analyze what things that you are doing well, and also look at some of the things that you may need to improve on. When you are implementing all 5 of the areas in your business, it will be a strong Multi Level Marketing business that will provide a great income for you and your family! Did you get value? If so, feel free to comment below and share it with other people you feel can benefit! MLM or Multi Level Marketing is a very rewarding business opportunity where you can help people to achieve their financial goals and dreams. So why is it that some prospects lie to you when you try to share your business opportunity with them? They said that they were looking to make some more money or free up some time, right? There is one major factor that is contributing to the lack of your MLM success. It is something that you may not recognize or even realize that you are doing. Once you do understand what this factor is, you can easily correct it and have more success with your business! Let's talk about what that one factor is that is limiting the success you are having in your Network Marketing business, and figure out how to correct it. I know that it can be very frustrating when you have prospects lie to you and say that they will show up at the home meeting, hotel meeting, or even watch a video online that they said they wanted to see!! In the video below, I am going to give you some MLM tips on what you can do in order to stop the lies and let downs that you are experiencing with your prospects! MLM and Network Marketing business requires a lot of activity if you want to have MLM success. The fact is, most new business owners jump into a MLM business opportunity and think that if they just paste their Multi Level Marketing business link all across Social Media, they will sponsor a ton of people and make a bunch of money. This is just not the case! 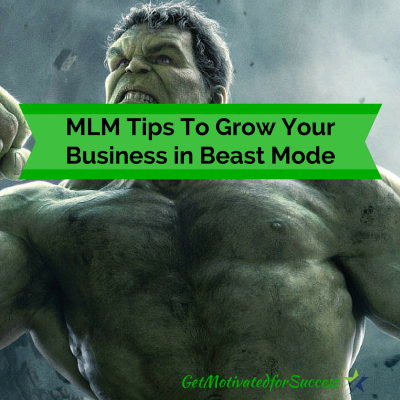 If you want to have success in your MLM, you have to get into Beast Mode! You may be wondering what the heck is Beast Mode? Getting into Beast Mode about your business opportunity is simply not being addicted to the outcome. 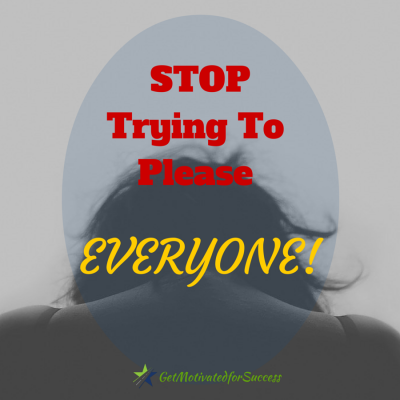 It is not caring what other people think or say about you or your MLM! Most newbies and veterans in Network Marketing say that they don't care what other people say or think, but in reality, their actions speak much louder than their words. In the video below, you will learn some MLM tips and tricks on how to get into Beast Mode in your Network Marketing business so that you can have the MLM success that you are looking for. Getting into Beast Mode is a simple shift in mindset and attitude. Watch the short video below, and you will see exactly what I mean! You can have great success in your MLM opportunity if you will simply shift your mindset from being addicted to the outcome, to being addicted to the seeing if someone is open minded about a Network Marketing business opportunity!